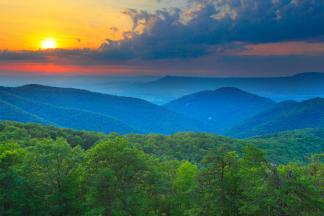 Connecting with Visit Virginia’s Blue Ridge on social media is a great way to learn more about our region. We have a presence on a variety of different networks and platforms, and many of these are full of resources to help you plan your next getaway to the Blue Ridge Mountains! If you have questions, leave us a comment or send us a message and we’re happy to help in whatever ways we can. You can also reach us via the Contact form on our website. Here are the social media networks where you can find and follow Visit Virginia’s Blue Ridge, and don’t forget to use our #BlueRidgeDay hashtag! If you&apos;re enjoying a craft beverage in the region, we also invite you to use the #VBRcheers hashtag! Check out the latest posts on our blog for great information to help you plan a mountain getaway!